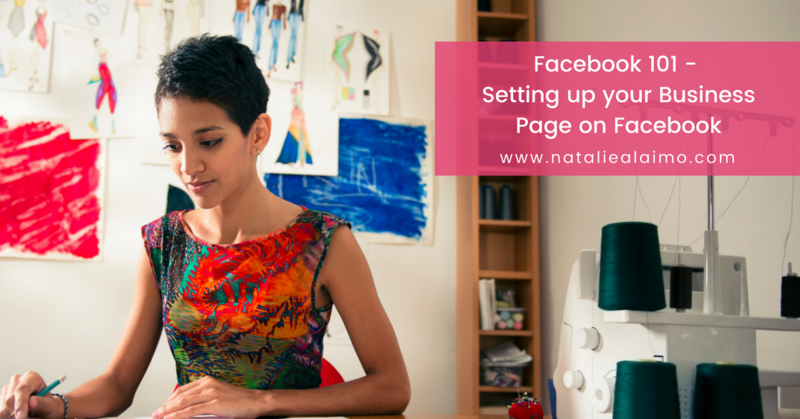 Let’s get started and create your Page. You must be logged into your Facebook Account to do this. Before creating your page you must select which category you want for your Page. Depending on which category you select, the information you can enter on your Page will vary. Don’t think about the information you may be able to enter, think of the best fit for your business. For example, the restaurant subcategory gives you extra tabs to input relevant restaurant information. This is ideal if your business is a restaurant, so you would select that option. Don’t over-think it, just select the closest match for your business. The category you select is also shown at the top of your page (in the about section), so make sure it’s fitting to your business type and represents your actual business. The other consideration is if you have a physical location where your clients must come to you, i.e. a hairdresser, restaurant, beauty salon etc. If this is the case then I would suggest using the Local Business or Place category as this will provide you with a Place Page. See the Place Page section for more specific information, however with a Place Page users can “check in” to your location, which provides more visibility. It will also come up in the Graph Search feature (see this section for more information). However what I believe to be the most important feature is your about section. When using another category other than Local Business or Place you have the option to customise your about section with a very specific call to action and include a website (as in the image above) while with a Place Page the information is automatically completed for you. Hence if you have public office (such as an accountant or lawyer) but it’s not vital for your clients to come to you, it’s better use of this space. I would also suggest that you don’t select Cause or Community. This category is for things which no one owns such as “Save the Whales” or Taylor Swift Fans. Facebook states that if your page gets to a certain size, they will take over the ownership and management, therefore it’s not recommend to select this page category. A physical address is required, so use this for a hairdresser, petrol station, The Sydney Harbour Bridge or the Eiffel Tower, etc. Also use this if you have a physical location where you want to encourage users to return to as this can double as your Place Page. Read the section on Facebook Places for more information. Education providers, corporations, and general categories such as TAFE Southport, BHP Billiton Limited, or Monash University, etc. Websites and anything you can buy such as Apple, iPod or www.amazon.com. Professions (doctor, lawyer), journalist, author. This is the main category for the “Brand of YOU” students who are using Personal Branding. Sports, media or content and the entities that organise them such as the Boston Red Sox, CNN or Kurrawa Surf Lifesaving. Community Pages for things no-one actually owns such as “Save the Whales” or Britney Spears Fans. Definitely not for business owners. Based on the information in the previous section and your business, select the best page type and category for your Page. Click on your selected page type and select the category from the drop down menu. A Gold Coast based travel agent’s Page is called VLTravel, but they could have also chosen Varsity Lakes Travel, which I personally think would have been better as that is the name of the business and is what I would search for. Fishpond, an online book store, put their name as Fishpond.com.au. This is a good example as it is similar to their web address and is what people would search for. An old blog of mine was Social Media For Your Biz, so I created a Page called that. It could have also been called socialmediaforyourbiz.com.au. Just make the best decision for your business. You don’t have to be creative, just what your business is called. You can, if you like, add your location, but that means if you move you can’t change it. For example, Vision Training – Bundall might be better for search engines as it uses your keywords, but if you move from Bundall it can be difficult. If using the Local Business or Place Page type you must also enter a physical address. If your business name doesn’t describe your business you may like to add a description, i.e. if your business name is Niche and you sell handbags and accessories your Page name could be Niche – Luxury Handbags & Accessories. Note: Your Page name can be changed at any time if you have less than 200 fans. So don’t worry too much if you make a mistake. Once you have over 200 fans you may also be able to change your Page name, however this isn’t guaranteed. I would suggest clicking on the page terms and making sure you understand what you are agreeing to. It’s just good business sense! 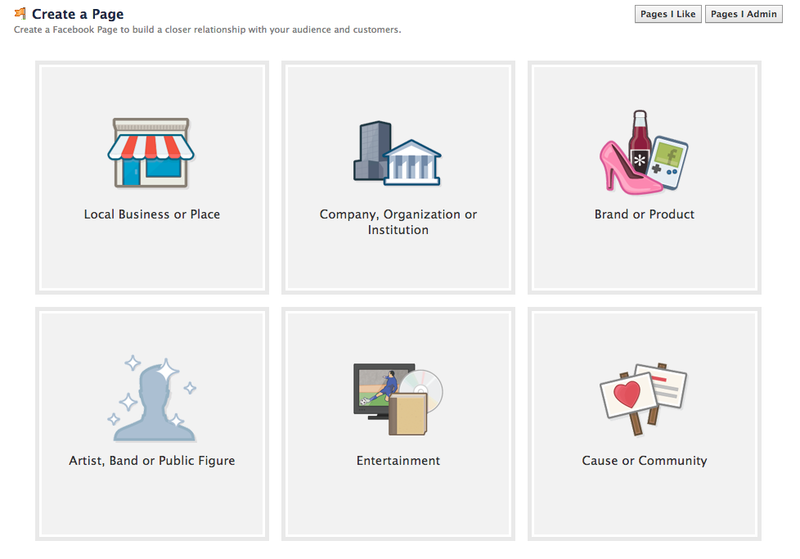 Facebook will now guide you through an intro start up section. Be very careful here as you don’t want to complete all of these now. The first section is “About”. 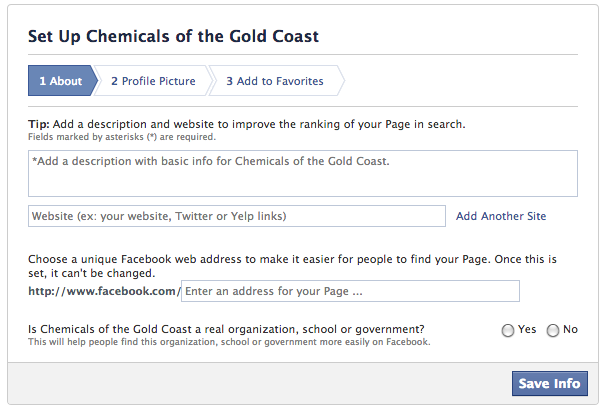 Facebook requires that you add a description for your Page, however this can be changed later. Therefore it’s ok to just type in whatever so you can get your Page set up. You can also add your website now. Facebook will also prompt you to create a Facebook Web Address (also called username and URL). DON’T DO THIS NOW – as once this is set you can’t change it and no-one else can use it. I find that many of my clients will set up a few dummy Pages first before they decide on a final Page. Wait until your Page is established (and you are sure you don’t want to change the Page name) before completing this section. 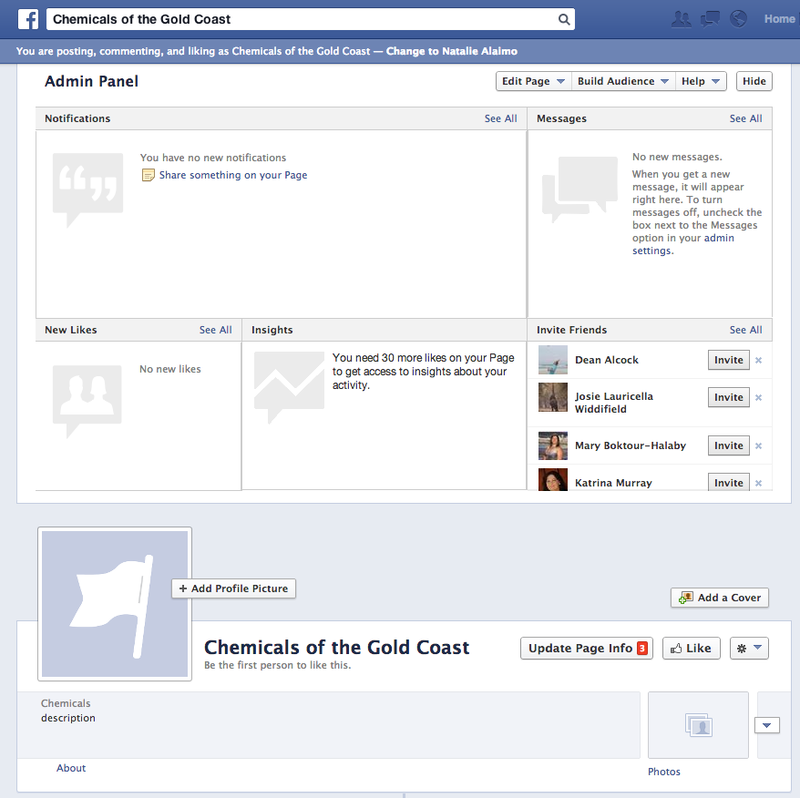 The last section on the “about” is to answer yes or no to verify your page category. 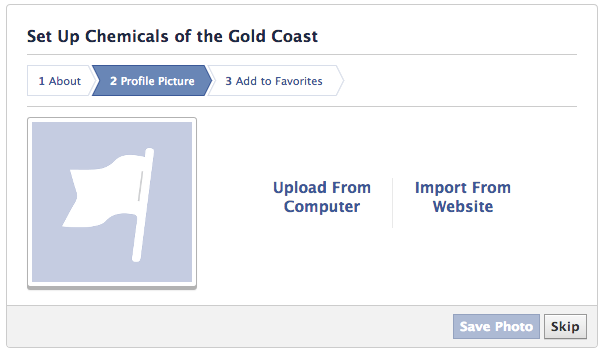 The second section, allows you to upload a profile picture. Again this can be done later. I would suggest clicking the ‘skip’ button and reading the branding section to ensure you have the right image for your profile image. The final section is “Add to Favourites”. 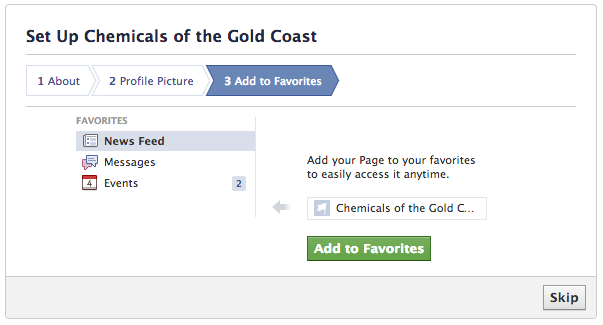 When you click the “add to favourites” button, Facebook will automatically add a direct link to your Page in the left column on your home screen. This makes it super easier to find your Page when you need it. Therefore I would recommend doing this now. You will now see your new blank Page ready for you to add your information and branding. Facebook will start a mini tour of the features – so you can either follow along and then come back here or just click on skip as all the information will be covered here. At the moment your new Page is published and people can view it, so while we are making changes, let’s unpublish it. Click on “Edit Page” from the Admin Panel which is located at the very top of your Page. From here click on “Edit Settings”. This takes you to the back end of your Page, where your page settings are located. At the very top of this section is Page Visibility. Select the tick box, select save changes and your page will become unpublished. This will make it viewable to only you and allow you to make edits and get it ready for release. When you have finished your Page setup you can come back here and re publish the page.